With Akela 2016 coming near we asked Cubs why Cubbing Rocks? This is what Xihlovo Mashimbye (7) from 1st Burgersdorp Cub Pack in Limpopo had to say. SSA: Why is Cubbing so much fun? Cubbing is fun because we play a lot of games. SSA: What was your best experience with Cubs? To meet different people was the best experience. SSA: What is the weirdest thing you ate outdoors? The weirdest thing I ate outdoors was pie. SSA: What was the toughest challenge at Cubs? The linguist interest badge was my toughest challenge. SSA: What was the most amazing place you visited with Cubs? We went to the Amatsi Swimming Place with Cubs. SSA: Can you name a few things you have learnt by being a Cub? I learnt how to be trusted. 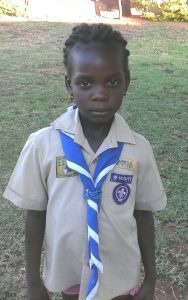 SSA: What things have you done with Cubs to help people in your community? We were cleaning the Induna’s kraal. SSA: What did you teach your mum that you learned at Cubs? I taught her the Cub Promise because I love it. SSA: What makes a good Akela? An Akela is a good person! 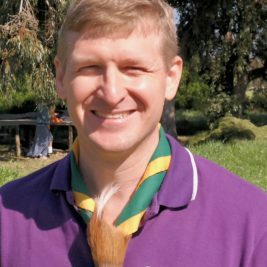 SSA: Why is your Akela special? She loves us a lot! Cubbing Rocks because … we play a lot of games and make new friends with children from other communities and learn new things every week. We get to see new things!